The American College of Greece | Two Medals (Silver and Bronze) and one 4th place for Greece from Xanthi Mitsakou in the Balkan Junior Swimming Championship!!! 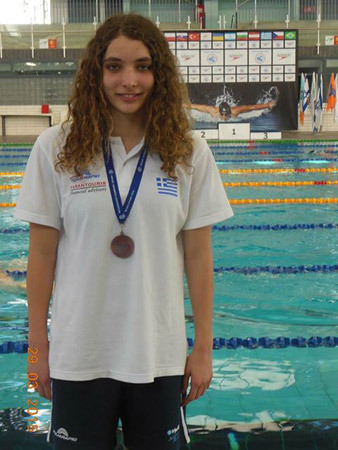 Home » Current Students » Athletics » DCAC Sports Academy » DCAC News » Two Medals (Silver and Bronze) and one 4th place for Greece from Xanthi Mitsakou in the Balkan Junior Swimming Championship!!! 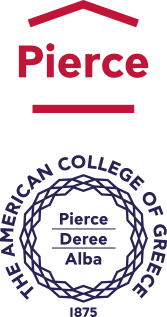 Our athlete – and PIERCE student receiving a swim scholarship – Xanthi Mitsakou won the silver medal in the 100m., the bronze medal in 200m., and the 4th place in 50m. butterfly in the Balkan Junior Swimming Championship in Oradea, Romania. A big congrats to Xanthi for her amazing performance and effort through-out the season!